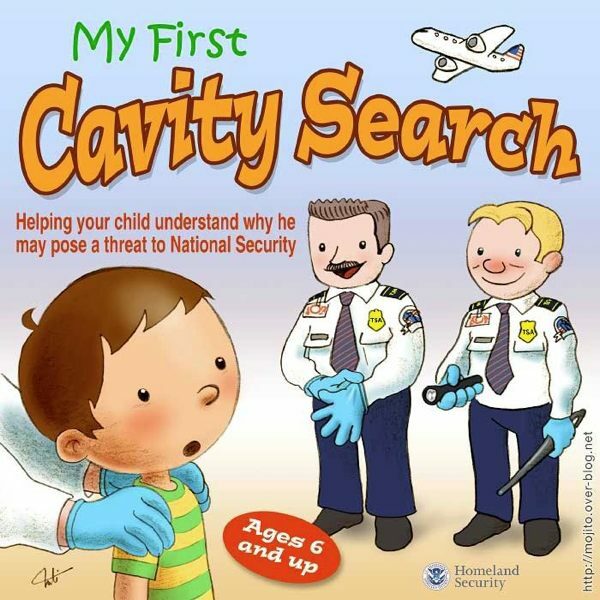 Everyone knows that the TSA is a parasitic band of thugs, but if you point it out, the terrirists(sic) will win! To clarify its mission to a confused and bewildered public, the TSA has unveiled a rebranding effort that should appease the mobs of outraged citizens that dare point out that the emperor is as naked as if he lived inside a Rapescan(sic) machine. 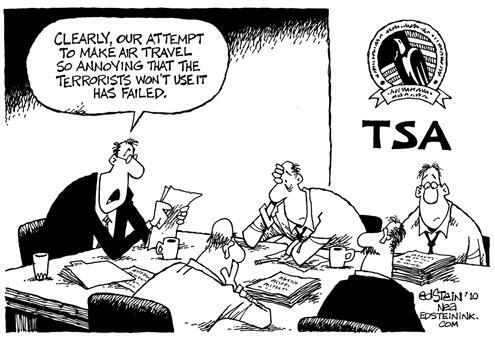 We’re the TSA and You Can Count on Us! (to overreact to tiny threats and ignore big ones) - By Reason TV. Michael Yon Detained, Handcuffed by CBP in Seattle Airport. TSA can’t believe MacBook Air is a real laptop, causes owner to miss flight. Thousands Standing Around - Testimonials from people that have enjoyed the pleasurable services of the TSA.